Pic by Neil Palmer (CIAT). Sacks coffee beans in the village of La Florida in Colombia’s southern Nariño Department, waiting to be exported. In the past week, lots from the 2016 Borderlands harvest starting hitting stores in a big way. The Borderlands lot is the featured coffee on Counter Culture’s landing page, which is a mixed lot from two different communities. Just a few days later, Intelligentsia celebrated the opening of a roasting and training facility in San Francisco by highlighting their special release of the yellow Maragogipe microlot. We’ve written about this rare variety here and here before. For the participants of the project, this was the most successful harvest to date and the final harvest under the Borderlands project. The 2016 harvest saw over 2700 bags of coffee being sold through direct trade relationships (out of a total of over 3600 bags that were sold with quality premiums). 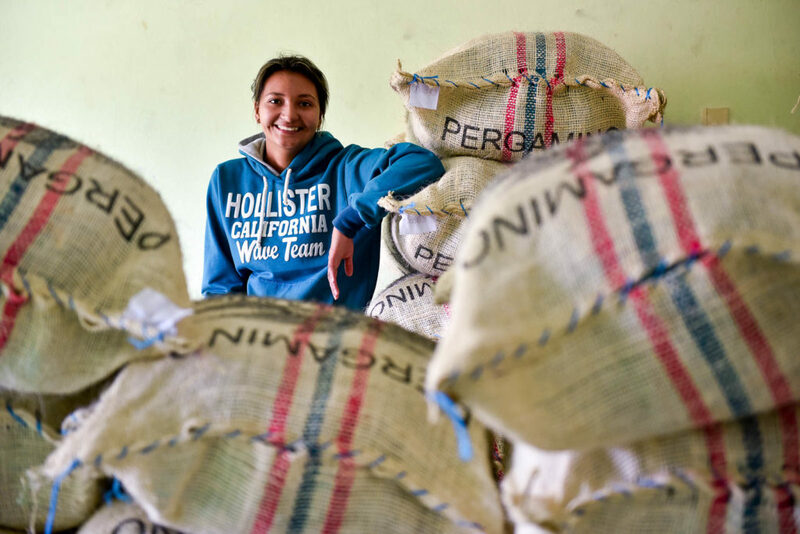 These 2700+ bags represent nearly 10 containers of coffee, which generated over $320,000 in premiums that were paid back to the farmers – an average quality premium of $0.90 per lb.! Just 4 short harvests ago – the 2013 harvest, the project started with the export of just 36 bags via auction. Since then the farmers, the project staff and our partners have worked tirelessly on improving the quality of the coffee and improving the organizational backbone of the groups involved (that were built on CRS’ Savings and Internal Lending Communities), while with every visit and every cupping, the buyers and the roasters they represented strengthened the relationships with these newly formed groups. And the volumes have grown from there. This is a testament to the hard work of the teams, the farmers and the buyers who have believed in this relationship and who have invested in to it. Ultimately, the lasting sustainability of these and other externally funded value chain projects is dependent on establishing deep relationships with other actors in the value chain. As the project support phases out, the organizations have gained the capabilities and capacities to assume these roles and continue to deepen the relationship. We’ll talk more about Borderlands 1.0 and its close, but for now, let’s celebrate the arrival of the 2016 harvest.